The policy on Dianetics is that it was and is intended to make a happy, well human being and that it can now be used in conjunction with purely medical (not political psythiatric) treatment. Any person not recovering his health and sense of well being by use of Dianetic auditing should be given by competent medical and clinical doctors or technicians a thorough physical examination to locate the illness, structural or pathological (disease), which is troubling him and introverting him. Scientology healing and mental treatment policies apply to Scientology. Dianetics is fully excepted from these policies. This is in view of the strong and increasing interest and cooperation of individual medical doctors over the world which should be continued and promoted. This policy does NOT include turning any person over to institutions or practitioners engaged in political treatment and expressly does not allow the use of such political treatment as electric shock, lobotomies, brain „operation“ or drugs producing convulsions. This policy does permit surgical and structural operations including the alleviation of concussion or skull fractures or the removal of brain tumors but only after they are proven to exist beyond any doubt by competent clinical examination. It does not include exploratory operation. The severance of nerves to „end psychosis“ is expressly condemned and the use of produced convulsion by any means to „alleviate psychosis“ and the practice of euthanasia (mercy killing) or any barbaric torturous or murderous or terrifying treatment or approach are not only not condoned but should be actively fought due to the non-therapeutic results, the immediate or early demise of the „patient“ and to the efforts to use these „treatments“ to effect political ends. 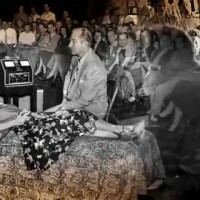 The persons using these means actively financed and fought Dianetics and Scientology over the world and were the sole source of repression of a valuable sincere and vital breakthrough in the field of healing as consistently demonstrated. This HCO Pol Ltr amplifies as policy HCOB 6 April 1969 and HCOB 12 March 1969. Dianetics is a healing practice supplementing medical treatment. Scientology is a religious practice applying to Man’s spirit and his spiritual freedom. In other countries any variation of this statement or its lack may be employed, depending on the legal position of healing.